Richard Figiel is the new champion of prestigious partypoker $500,000 guaranteed Canadian Grand prize tournament took place at Playground poker club and collected the first prize which was $49,385. The $109 buy in tournament received 3,341 entrants on day 1 including online and live traffic. The day 2 of the event took place with more than 50 starting flights, where players also had option to buy in directly to the day 2. The final day or day 3 of the event started with 46 remained player in business and everyone was looking to take home the title of the championship along with the first cash prize, but it was Figiel, who did great at the end of the day and moves out with the championship title. Sofian Boulila busted to tenth place for $4,630, Mark Sloane made $5,970 from the tournament being ninth player and Adam Cader made $7,800 from the tournament, being eighth position holder. Daniel Dagenais was at seventh position and was able to collect $10,300, meanwhile the journey of Karla Leduc ended at sixth position for a total $32,780. Kegan Cummings was the next man who hit the rail and managed to become the fourth position holder of the event for a total winning share of amount $37,160 while Neil Macleod completes his journey being fourth in the list for $34,945. The three handed game then included Richard Monreau, Paul Mohorea and the winner Richard Figiel. Richard Monreau was the one who left the field first and cleared the path for rest of the two players. He made $37,655 from the tournament. 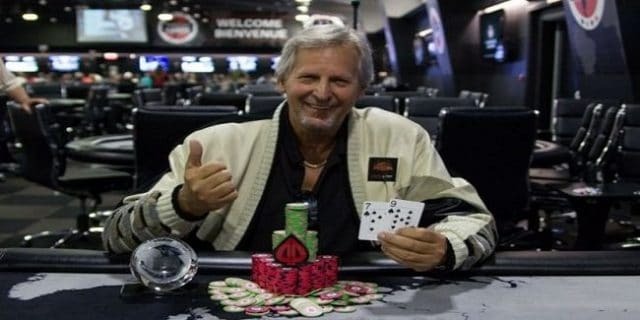 Meanwhile Richard Figiel becomes winner and collected $49,385, and Paul Mohorea becomes $30,165.